Our Science curriculum aims to provide all children with rich and exciting experiences, that allow them to develop their scientific thinking and understanding and carry this on towards a life-long love of the subject. With Empiribox, we strive to deliver learning experiences that are enjoyable, thought-provoking and challenging. Each year, the children will cover the main components of scientific investigation: planning investigations, recording and analysing data and evaluating the investigation process. They will do this by taking part in engaging and fascinating practical activities, where everyone has the opportunity to take an active role in hands-on science which brings their learning to life. Each year, they will delve into three new topics, covering biology, chemistry and physics. At the start of every term, the school will receive a vast amount of outstanding resources for their new topic, that will allow the children to access their learning in a practical and engaging way. KS1 will operate on a two-year program and KS2 on a four-year program, with all year groups in each key stage exploring the same topic in their own way and at their own level. In doing this, we want to promote the sharing of scientific knowledge and experiences and see children from mixed classes and year groups holding conversations with each other about the investigations and their shared learning, that has taken place or up-coming, when outside of their classrooms. By the end of their key stage, all children will not only have covered the national curriculum requirements, but with Empiribox, they will have extended and enhanced their learning and love for Science to new heights. Want to know what science topic your child is learning about this half term? KS2 have been investigating sound, beginning by focusing on how sound travels through different mediums. We used tuning forks to transfer the energy of the sound vibrations, into other objects, to witness the sound energy in action. When we struck our tuning forks and placed them gently onto a ping pong ball on a string, the ball started to bounce off the tuning fork, with no pressure applied. 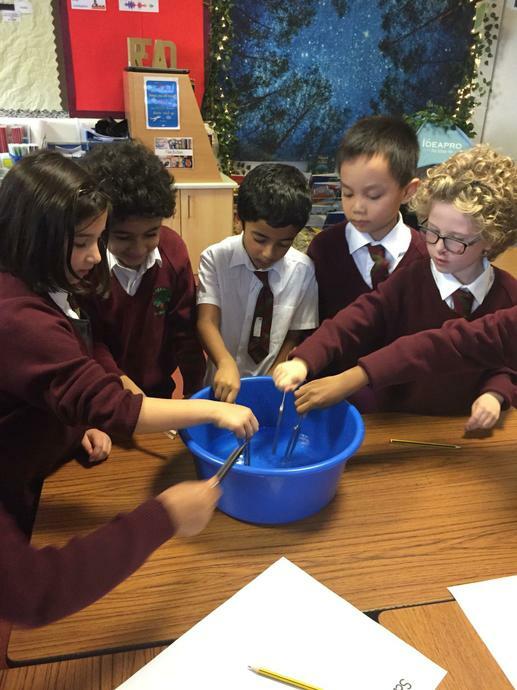 We also placed grains of rice, sprinkles and salt onto stretched cling film, again placing our tuning forks gently onto the surface of the cling film and the grains on top bounced (sometimes all the way off). Both of these investigations showed us that sound moves in waves and vibrations, which can move through solids and that these sound waves are energy. This week in our STEM club, we opened up owl pellets, which are the regurgitated, indigestible parts of an owls diet. In doing so, the children learnt about the food chain, digestion and bones. They used a guide to help them identify what the specific bones that they had found were. 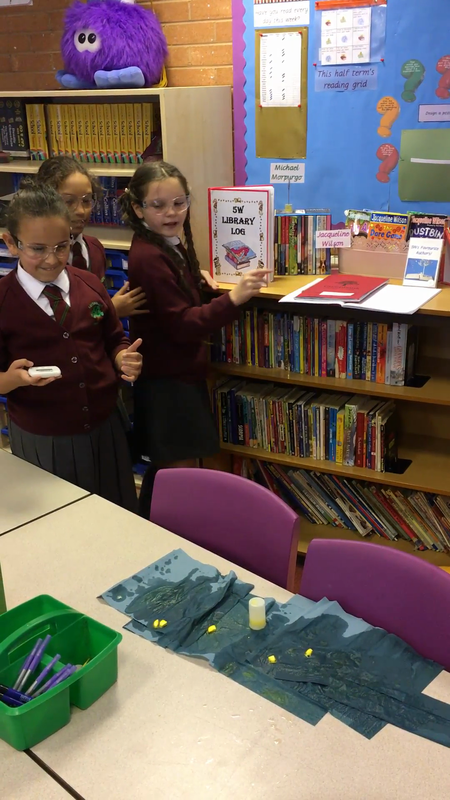 After a week of guided investigation into air pressure, Y5 have planned and carried out their own investigation. They made effervescent rocket poppers, to see how the production of gas (after a reaction between water and a Vitamin C tablet) makes air pressure build up inside a film canister and the force can propel it into the air. To begin our unit on 'Forces, Magnetism and Space,' we had lesson all about exploring the effects of air pressure. After this, they wrote about the role air pressure played in each of their learning experiences.